Stonehenge Capital and Chase today announced an investment in the new Williams Sausage Company factory in Union City, which began construction in July. Bringing more than 200 new jobs to the area, the project was financed through federal New Markets Tax Credits, which are designed to encourage private capital investment, create jobs and catalyze additional economic activity in communities that are underserved by traditional sources of capital. Founded by a Tennessee family in 1958, the Williams Sausage Company has grown from selling sausages in cloth bags out of a truck to offering link sausages, sausage patties and microwaveable breakfast sandwiches in more than 4,000 retail outlets across 20 states. With assistance from HWH Group, a site selection and incentives consulting firm, Williams is constructing a new 200,000- square-foot production facility, distribution center, truck maintenance shop and corporate office in Union City. The New Markets Tax Credit investment will allow Williams to purchase equipment needed to introduce a new breakfast sausage line and expand into new markets. Stonehenge Community Development, a subsidiary of Stonehenge Capital, provided $10 million in federal New Markets Tax Credit allocation for this project. The job opportunities for residents of Union City and surrounding communities come at a time when the area has suffered significant job displacement because of other plant closures. The new jobs will offer full benefits and will bring the company’s total full-time employees to 323, adding 210 new positions. The project is also expected to create an additional 321 jobs onsite over the next five years. 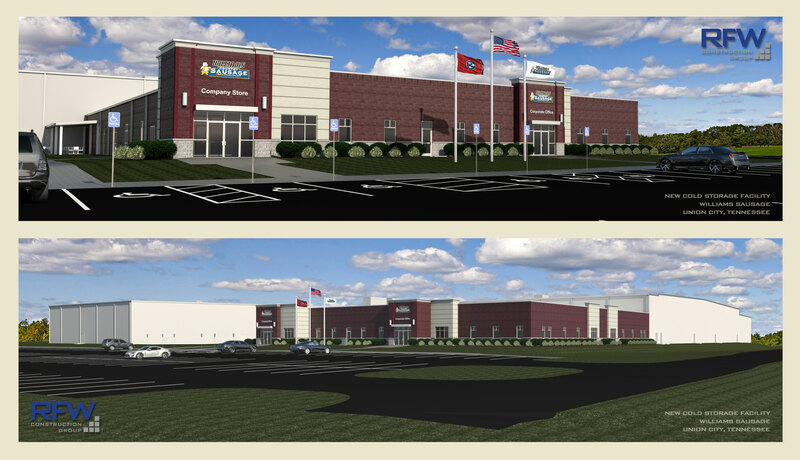 Williams Sausage plans to work with the Tennessee Department of Labor and Workforce Development, Dyersburg State Community College and Tennessee College of Applied Technology to interview, train and hire underserved, low-income residents to become technicians and professionals at the facility. Construction of the new facilities is expected to be completed in June 2018. Since 1999, Stonehenge (www.stonehengecapital.com) has operated at the nexus of finance and community development. Stonehenge invests in underserved communities through community development programs in order to improve the economic wellness of the communities and residents. Today, the firm’s values remain unchanged and Stonehenge’s role as a catalyst in the success of individuals, businesses and communities is evident through the firm’s three core business lines: growth capital, tax credit services and community development. Stonehenge utilizes a variety of debt and equity financings to spur economic growth across the country, and has offices in Baton Rouge, New York, Dallas and other locations. processing, and asset management. A component of the Dow Jones Industrial Average, JPMorgan Chase & Co. serves millions of customers in the United States and many of the world's most prominent corporate, institutional and government clients under its J.P. Morgan and Chase brands. Information about JPMorgan Chase & Co. is available at www.jpmorganchase.com.